Administrative ministries help with operations, serving, and maintenance at the House of the Lord and include: security ministries, office administration, maintenance, ministers, finance committee and more. BFVC is a fellowship of pastors and churches, both denominational and independent, who have placed themselves under the apostolic covering of Bishop F. J. Johnson, II, for mentoring, teaching, support, encouragement, accountability and fellowship. The central theme of this fellowship is “relationships” because relationships are everything. Servanthood – a ministry extension of the Senior Pastor to The House of the Lord® community. Collection of the offering from the congregation during worship services or designated special events. The Prophets are a five-fold ministry of the church and kingdom according to Ephesians 2:20. Prophets are called to speak to leaders, kingdoms, nations and all people on behalf of God and equip the saints for the work of ministry. Ministry of practical service and care to and for the facilities of The House of the Lord®. To make sure the entire campus is both clean and safe to the glory of God.. Licensed ministers and ministers in training assist Bishop Johnson and pastoral staff in carrying the spiritual burden of ministry in a variety of areas. Those who believe that God has called them to the ministry of the Gospel of Jesus Christ can acknowledge their call and begin the required training and development. 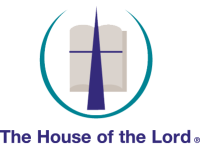 Assisting The House of the Lord® Support Staff in an administrative capacity. Uniformed (licensed) and non uniformed personnel providing security during all worship services and selected special events at The House of the Lord.